A local man was arrested on a Driving While Intoxicated charge on West Lake Houston Parkway overnight. According to reports from PCT 4, on March 26, 2019, a deputy with Constable Mark Herman's Office conducted a traffic stop on a vehicle in the 16400 block of West Lake Houston Parkway. 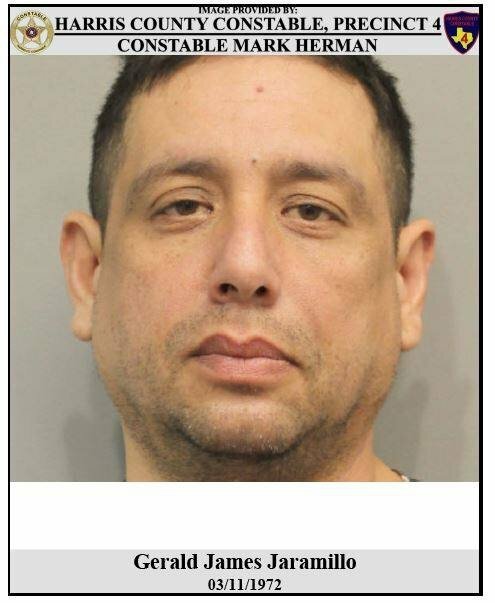 The driver, who was identified as 47-year-old Gerald Jaramillo from Atascocita, displayed several signs of intoxication. Awesome. More of them out of our streets. Arrest him and throw away the key. Drunk drivers always seem to walk away with no injuries and innocent people end up dying. I am glad he did NOT kill anyone under the influence. Part of the process should be to bend the vehicle key or smashing the fobs, impoundment of the vehicle and if with family make them all walk the remainder of the trip. @LizardKing : A little intense there LK, but I like your thought process. I give no quarter for dui. LizardKing : A little intense there LK, but I like your thought process. I give no quarter for dui. @Smokeybear : Yep, at least this way after the first violation, you have the family members beating up on the POS DUI driver and probably have them taking a more proactive action from letting any family member drive under the influence. Don't just hit the drunk, Strike all the enablers! DWI, arrest that person, and seize their vehicule. I wonder if this guy is kin to the kid in corvette that got killed at west lake Houston Pkwy. & 1960 by a drunk driver? @hey : When was this?